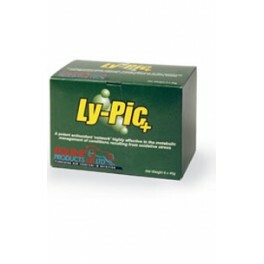 Equine Products UK Ly-Pic+ is a complementary supplement which helps the horse convert their feed into energy. It contains B-Complex vitamins and Alpha Lipoic Acid which are essential for providing energy. It comes in daily dose sachets which should be fed to horses 3-4 days before and after racing, competition or strenuous exercise. Feed one sachet daily mixed with feed for 3-4 days prior to and after a race, competition or strenuous exercise. There are currently no questions for Equine Products UK Ly-Pic+ for Horses - be the first to ask one!